Just the other day, as I walked through the toy aisles at the store, I realized that almost every toy ended with one final answer. One plan. One set of instructions. Even the coolest science kits on the shelves leave little to the imagination. It started to make me wonder just how easy it really is to teach my children to think for themselves and become out of the box thinkers. 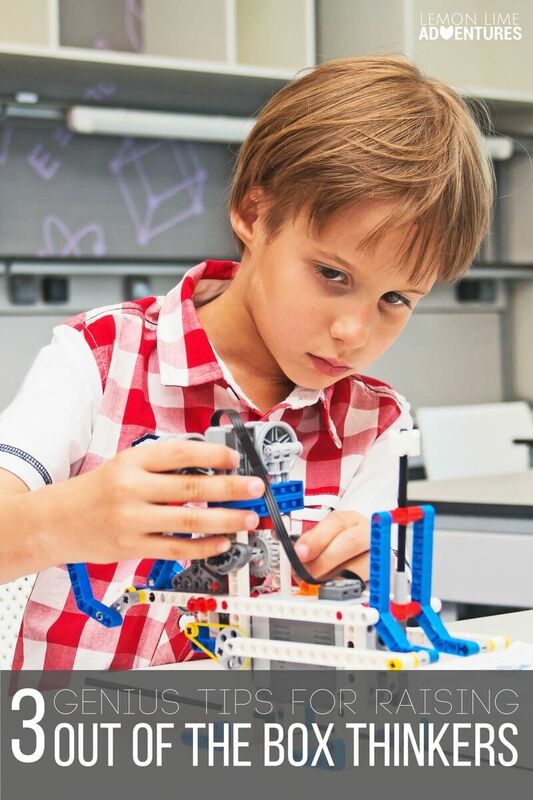 In a world of Youtube videos that teach you every step you need to make anything you want, video games that come with codes to solve the game before you even begin, and toys that come with instructions booklets to guide you through every thought, making out of the box decisions can be a hard thing to teach children. That doesn’t mean it is impossible or a lost cause. In fact, its something I am extremely passionate about. When I taught in the classroom for more than 15 years, thinking outside the box was always my drive and my why. I was known by colleagues for throwing out boxed curriculum and leading quarter long projects with my students. We did everything from creating a working flower market to running a school wide recycling program. We used science, math, engineering, art and technology to explore topics that seemed so boring in our textbooks. I know it seems like such a rudimentary tip, but honestly, this is one of the most important tips I can suggest for raising out of the box thinkers. Children need time to use their hands, their sight, their bodies and their brains on a daily basis. In fact, play is where many children develop the most important skills of thinking. They have to problem solve and pre-plan when they are building sand castles. They have to estimate and strategize when they are jumping between the wood blocks. They even have to question and test theories when they are playing with their favorite toys. It is extremely important to make learning fun, but more importantly it is important to make play learning. You see, it is important for our adult eyes to see the importance of play and not replace this play with tasks, goals, experiments, and activities that are so pre-planned that our children lose sight of being a kid. Adults have no problems asking kids questions. In fact, sometimes we get so excited about “helping” our kids learn that we ask too many questions. Honestly, sometimes we even answer the questions before we give our kids time to develop their own thoughts and opinions. 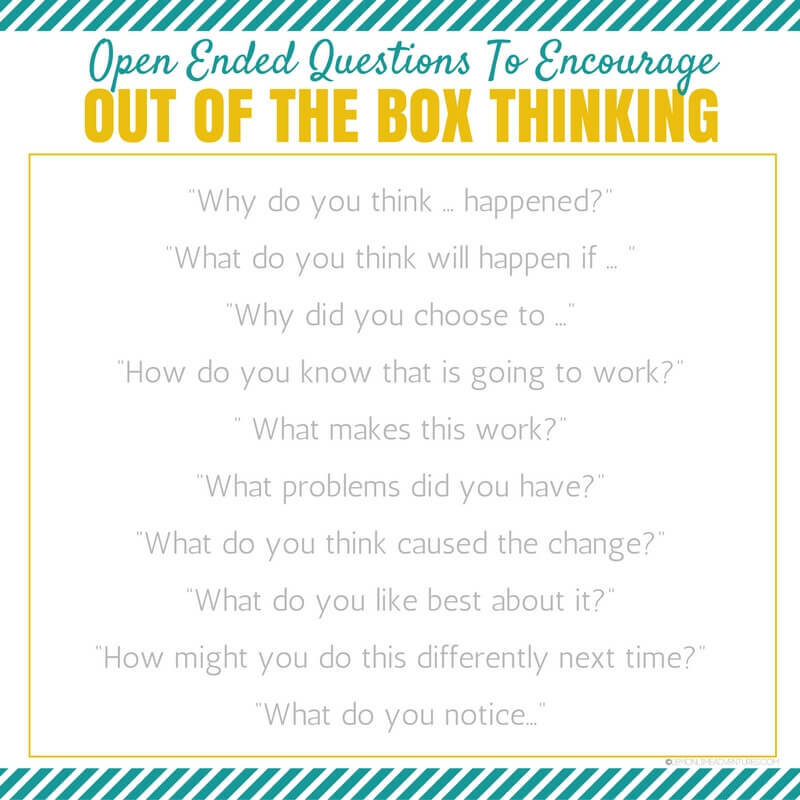 Questions can be the key to unlocking out of the box thinking if they are used appropriately and in moderation. Here’s what I mean. Let’s take the time my kid wanted to do the classic soap demonstration. I could have simply set it up for him, let him do the activity and asked him questions like “What color do you see?” “What happened when you warmed up the soap?” and similar questions. Yet, that is not what I did. This really got my son to think outside of the prescribed demonstration and test his thinking. Instead of asking him straight-forward questions with set answers, I opened the door to discussion and turned the demonstration into a real experiment with new variables. Yep. You read that right. Let your kids fail. In fact, let them fail over and over again. Not only with this build resilience and stamina, but it will encourage them to think on their own and not lean on you for answers. In fact, it will teach them that failure is a good thing. Just the other day, my oldest son was intent on building a working Go Kart. I wanted to tell him that he didn’t have the skill set or that he was going to have a hard time, but I refrained. Instead I led him with questions and supported him along his journey. He watched Youtube videos, he checked books out from the library, he made models and diagrams. I’d love to tell you that this story ended with the most amazing go-kart any kid has ever made (I mean that would be incredible, right?). Yet, our story doesn’t end that way. On the contrary, my son failed to make a working go-kart. He tried. He failed. He didn’t give up. He saw his project to the end and when he saw that his version was failing, he went back to the drawing board and started with a new plan, new tweaks, new designs and new ideas. Only this time… he had learned valuable lessons from his failure before and was using that failure to propel him forward. So often, as adults we want to step in and help our children feel successful. We want them to win first place in a science fair, or have the fastest car in the pinewood derby. 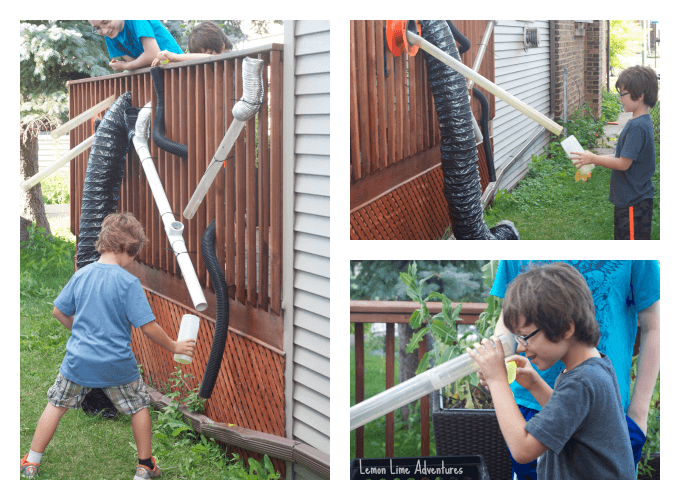 We want this so bad, that sometimes we become the scientists and the thinkers and we push our kids to the side. I want to encourage you to stand back and let your child fail. You might be surprised what you learn while you are watching your child fail over and over again. 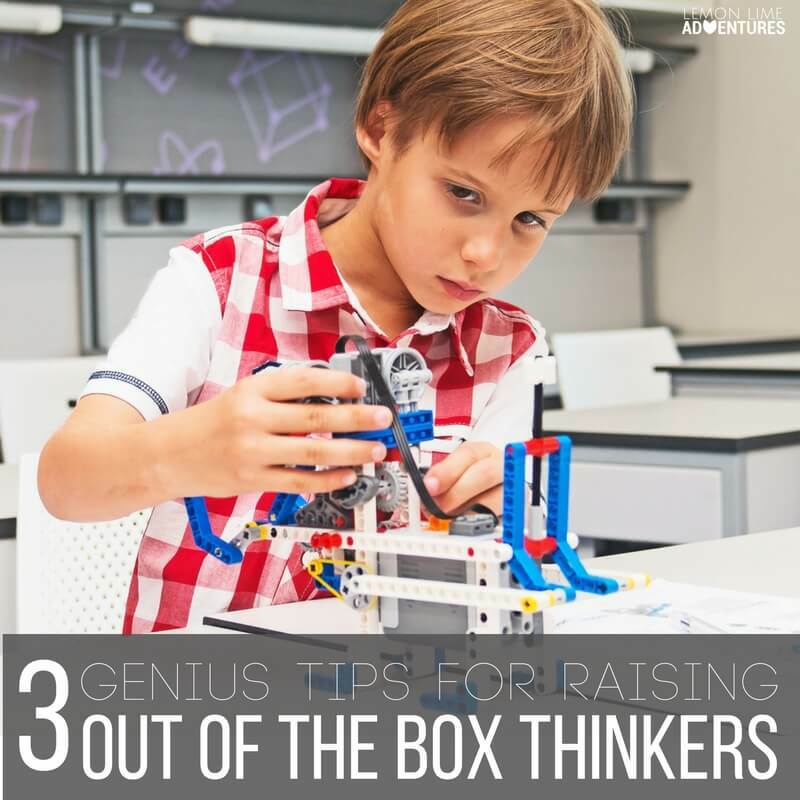 Do you ever feel like you want to grow an out of the box thinker but you just don’t know where to start? Hopefully these tips have started you on the road to raising a child who questions the world and develops ideas on their own. To help with this mission, I am excited to announce that I am working with an amazing and inspiring team of authors to bring you a new book, STEAM Kids that is available on September 14th. It is both an ebook and print book available through our site and Amazon. 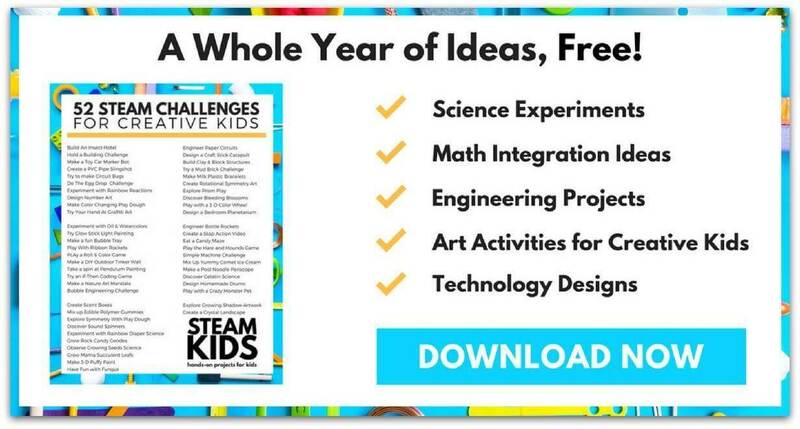 To help you develop out of the box thinkers, we have created this FREE Printable with 52 STEAM Challenges you can present to your children. When you get the list, you will also be added to get the latest updates about our awesome new STEAM Kids Book that is full of amazing STEAM activities for kids.